BOOK REVIEW: Gary Graham, Anita Greenhill, Donald Shaw and Chris J. Vargo (eds.). (2015). Content Is King. 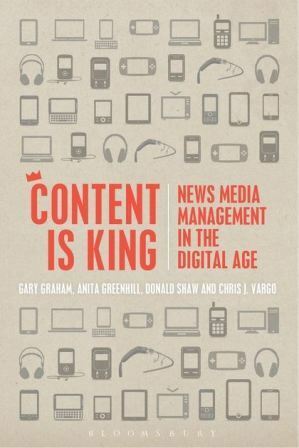 New Media Management in the Digital Age. New York and London: Bloomsbury Publishing Inc., pp. 256, ISBN: 978-1-6235-6545-9.